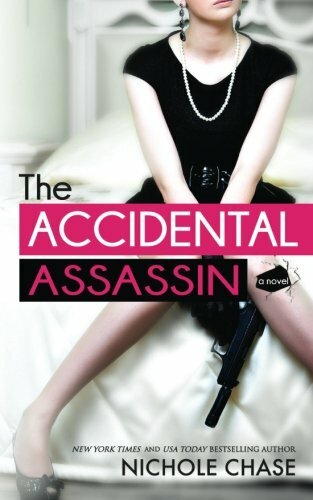 From the New York Times and USA Today Bestselling author, Nichole Chase, comes THE ACCIDENTAL ASSASSIN. Ava McKenzie is a creature of habit. Life is passing her by and she has nothing to show for it. She's had the same job since she started college, she orders the same dish every time she goes to her favorite restaurant, and only reads books from authors she knows. There is nothing new or surprising in her life... until her best friend marries a man from London. When her newlywed friend asks her to house-sit while she honeymoons, Ava jumps at the chance. She thinks this could be the very thing she needs to shake up her life. Ava throws herself head first into her new lifestyle; she wants to try everything, go everywhere, and never get stuck in a rut again. Of course, offing a man in a car garage hadn't been one of the things on her list to try. Owen Walker spends every day in a new place with a new case. As one of the most renowned assassins in the world, he has his choice of marks--and he's never failed in a mission. When a new hit takes him back to his hometown, he looks forward to spending time somewhere familiar. What he isn't expecting is to help an attractive, confused American woman find out how she's ended up on a hit man's list. As Ava and Owen dodge bullets, will they be able to escape their undeniable attraction to each other? Or will all of that chemistry blow up in a shower of hot and dangerous sparks?